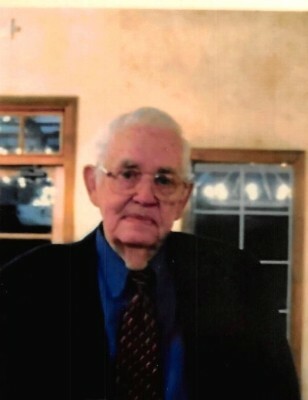 Joe Paul Matthews, 86, died on Tuesday, November 6, 2018, at The University of Mississippi Medical Center in Jackson, MS. Funeral Services will be held at 11am Friday, November 9, 2018, in the chapel of Ott & Lee Funeral Home in Brandon, MS. Visitation will be 5-8pm Thursday at the funeral home. Interment will follow in Mountain Creek Baptist Cemetery. Joe was born January 10, 1932 to Olif and Willie E. Matthews. He was a Veteran of the Korean War from 1950 – 1954. He was a Gideon and a Baptist. He retired from Woolley Brothers, Inc. in 1992 after more than 38 years. He is survived by three children, Keith of Pearl, MS, Linda (Doug) Ming of Pearl, MS, and Susan (Stephen) Kirby of Missouri City, TX; three grandchildren, Deven, Katelin (Frankie) and Cameron; three brothers, Olif (Betty), Will (Kathleen) and Pat (Peggy); and four sisters, Irma Ruth S., Betty G, Nancy G. and Sandra B.; and numerous nieces and nephews. He is also survived by his former wife and mother to his children, Sue Matthews of Pearl, MS. In lieu of flowers, it is suggested that you do a random act of kindness for someone in your community or a donation to the Gideon’s International.